The Hindu calendar follows a 60-year cycle and as a result, a person’s 60th birthday is their most celebrated. It’s known as a “Sashtiabdhapoorthi.” Hindu’s believe that on this night, the celestial bodies align in the same fashion as on one’s birth date. On such a night, the family gathers to give blessing and married couples renew their wedding vows. Here in America, we just aren’t that patient, so we eat cake, give gifts and throw parties every year. We also have more special birthdays like a sweet 16, 21, 30, 40+ and so forth. However, 2 year old birthdays aren’t really anything people go crazy over. In fact, the 2nd year is more commonly known as “the terrible twos.” It’s an age where toddlers become mobile and grow bored with activities at a faster rate. But why should that ruin a 2nd year old birthday for everyone? 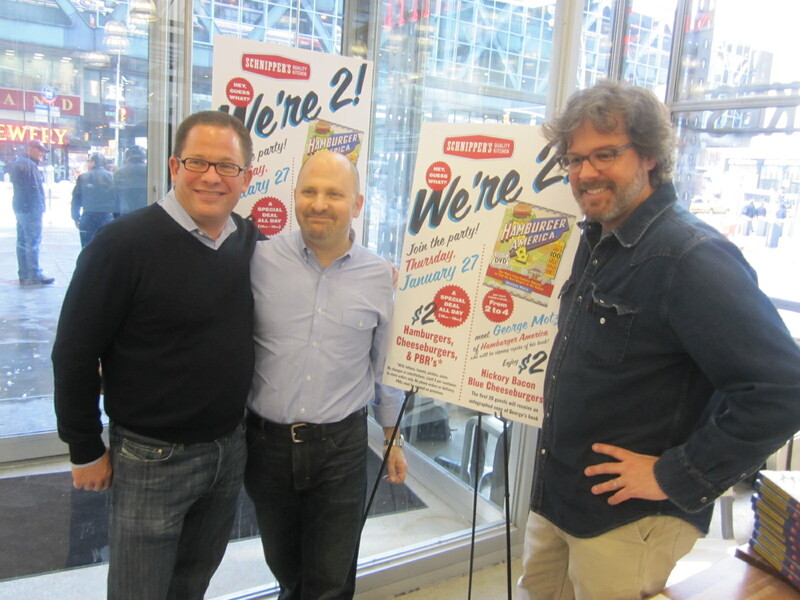 One of NYC’s BEST burgers, Schnipper’s Quality Kitchen, recently celebrated their 2 year old birthday and instead of throwing a temper tantrum, they threw a rad party for all to enjoy. They invited burger historian, author and director, George Motz in with his roadside burger tell all book, “Hamburger America” to have a party. 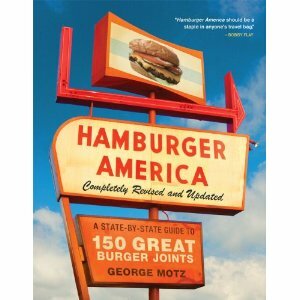 George’s amazing book is about to go out of print to make way for the revised edition that features 150 different great burger joints around this great country of ours. Jonathan and Andrew Schnipper discounted George’s fave burger on their menu, the Hickory Bacon Blue, down to $2 just for the event on January 27th, 2011. 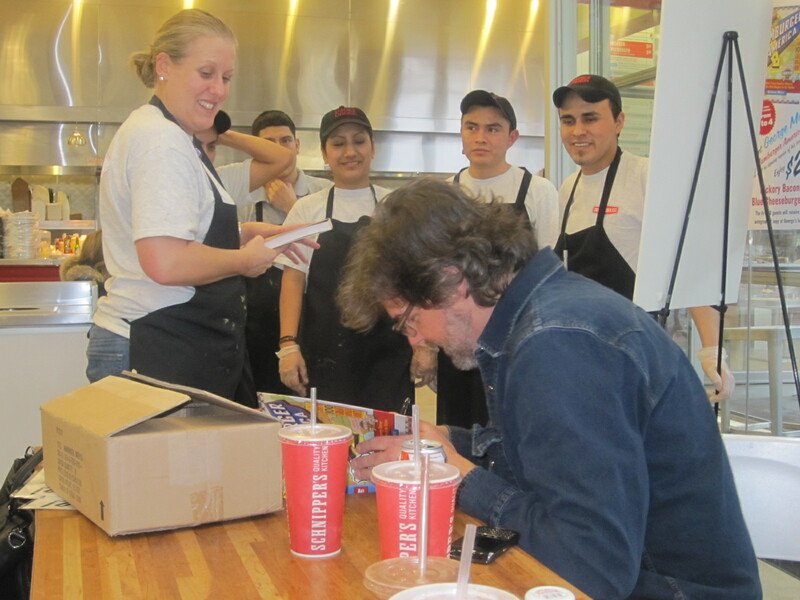 Meanwhile George, who is one of the nicest people I have ever met, signed copies of the book, chatted with the burger-curious and of course, crushed burgers. 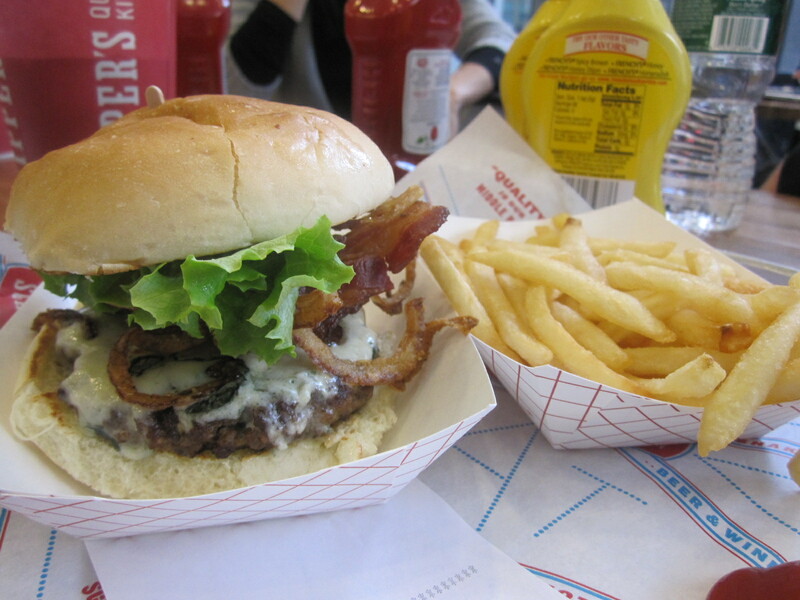 George’s book is the bible of burgers in America. I reference it ALL the time and if you haven’t read it yet, pre-order a copy of the revised edition now! It’ll cost ya a mere $13 and lead you to absolute burger glory. Not only do I love the Schnipper burger, but I love the Schnipper brothers. These guys are as nerdy as I am about burgers if not more. Having a conversation and a bite with them is ALWAYS worthwhile. When they invited me to join in celebrating their 2 year anniversary with George, there was no way I could say no. I also happen to conveniently, live only a few blocks away! The party was great and without fail, so was the burger! Happy Birthday fellas!! Let’s make a plan for Burger Conquest’s 3rd birthday! Click here for my full review of the Schnipper’s Hickory Bacon Blue Burger. 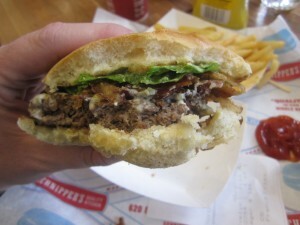 This entry was posted in Best Burger in New York, Burgers, Event, Gourmet Burgers, Hamburgers and tagged 2nd, birthday, burger conquest, burgerconquest, cheese, ciancio, french, fries, george, great, hamburger, hamburger america, hindu, kfc double down fried chicken colonel\'s sauce cheese review the great burger conquest hamburger cheese french fries new york nyc this is why your fat, kitchen, lafrieda, motz, new york, ny, nyc, pat, quality, rev, Sashtiabdhapoorthi, schnippers, the. Bookmark the permalink.